More information about the upcoming Nikon D600 full frame camera have surfaced. Nikon Rumors reports today some additional information about the new entry-level FX DSLR from Nikon. The D600 is poised to create a new market segment, an affordable camera capable of professional levels of image quality. 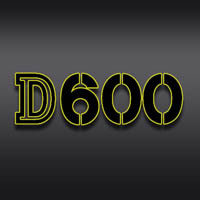 The most interesting aspect of the D600 will be its price. While other full frame cameras start around $3000 on introduction, the D600 will be priced competitively perhaps as low as $1600 at introduction. This gives current DX users an easy upgrade path to the FX realm. Incorporating the Sony 24MP Exmor image sensor, the Nikon D600 will provide double the resolution of the current D700. It will be capable of 5fps continuous shooting, equalling the D700. To accomodate those with DX lenses, the D600 will offer a DX crop shooting mode with 12MP resolution. New FX lenses are expected to be announced with the D600, including a 24-70mm variable aperture zoom. Along with the current 28-300mm and 24-120mm lenses, Nikon may also release a 70-200mm f4 and 16-35mm variable aperture lens. The autofocus system will be a new system with 39 AF points, switchable to 11 points, and will likely use face detection for perfect focus on portraits. Internal photo retouching, and wifi support through an external adapter WU-1 as well as EyeFi cards will be supported. Dual SD card slots will allow extended shooting and backup options. Flas sync will be offered with 1/250 sec speed. User programmabke settings banks U1 and U2 similar to the D7000 allow for personalized customization. The new Nikon D600 will offer a tremendous level of performance at a new price level and is set to create new demand in full frame photogrqphy. It is expected to be announced late summer 2012 with release by early fall 2012.